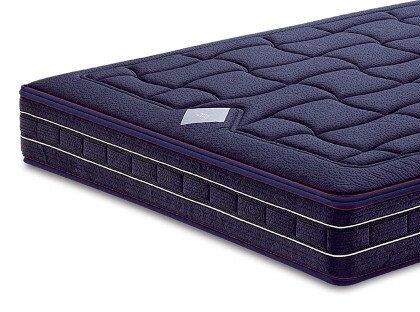 The Balance De Luxe mattress with independent pocket springs is ideal if you are looking for a mattress able to delicately mold itself guaranteeing comfort in every position taken during sleep. The innovative covering fabric in 3D linen offers a pleasant softness feeling on your skin and high breathability of the mattress. 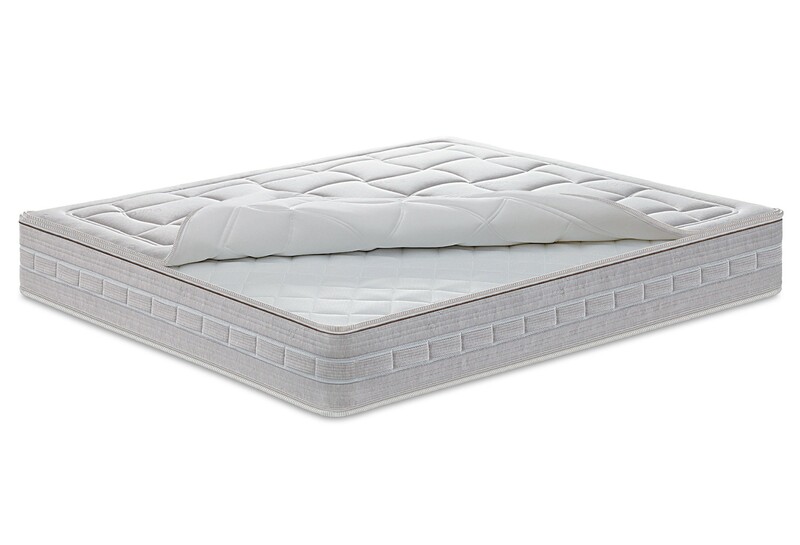 The mattress presents a double layer of Soy Memory Touch on one side (removable and dry-washable quilt); a first 4 cm layer placed inside the cover, extremely soft and cozy, a second 3 cm layer is placed inside the mattress on top of the springs. It is made with high density and high carrying capacities in order to supply a sturdier support. These two layers operate together and delicately mold under body pressure, shaping themselves perfectly to your contours. External cover in 3D natural linen. "Comfort Profile" high-capacity Memory HD box. Box plane in Aquatech® with high “Comfort Profile” load-bearing capacities. 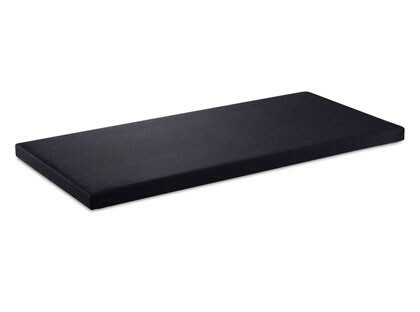 The side stuffed with Solotex guarantees a cooler rest during hot seasons. 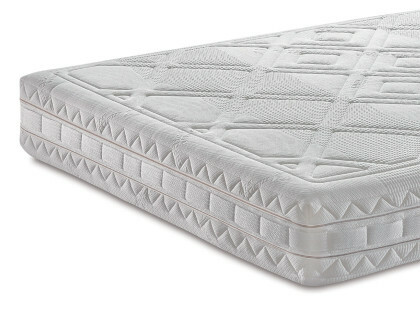 The mattress, indeed, can be used on both sides. The cover in 3D linen, cool and delicate on the skin, is made with natural fibers and thanks to its high breathability, it guarantees an always dry climate contrasting the proliferation of mites. The exclusive PhysioClimate system dissolves excess heat and humidity. It perfectly adapts to your body shape thanks to its differentiated areas of springiness which alleviate any kind of pressure being therefore ideal in any position. Manufactured with countless micromassage points. HD Memory plane that allows progressive welcoming. 3D breathable linen fabric, soft and gentle on skin. The upper panel is easily removable and dry-cleanable. The winter side cover is easily removable and dry-cleanable. 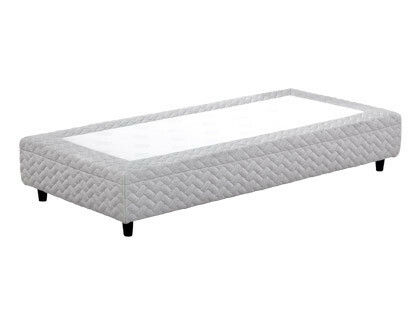 A quality furniture, also customized in coordination with your pocketed spring mattress Balance De Luxe, perfect to enhance its features. 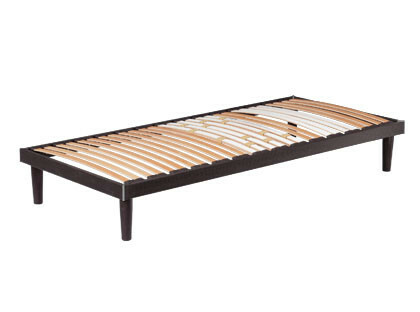 BoxSpring is a bed base realized with 7 springiness zones made of 400 pocketed springs (single size) and allow to have a liner matching Balance De Luxe.